If done right, social media can be an effective tool for selling books. A while back, when I began to write seriously, I set up a Twitter account and tweeted four times daily. Some swore that was too much, but it seemed to work for me. My tweets were often about a blog I'd written, an aspect of writing, or one of my books. When the Facebook revolution began, I followed the masses to the pretty and popular place. A page on Facebook looked almost like a website, but could easily be updated. I could post longer messages than on Twitter, plus more pictures. I was really getting into the Facebook scene, when lo and behold, I was surprised to learn from fellow-author, Bob Sanchez, that Twitter, which I'd thought had become unpopular, had regained steam. Not only that, Bob, as well as many other authors, were successfully using Twitter to promote books. Shonell Bacon posted an article here, called "Using Twitter to Promote Your Book". Although I kept my Facebook account and faithfully updated it, I began to pay more attention to Twitter. In the process, I learned a few things about what not to do. For the most part, I follow my own advice, but do make exceptions. Below is a list of my don'ts and personal exceptions. 1. Don't waste time on inconsequentials. Meals, movies you've seen, what your dog or cat looks like or does, yours or someone else's health problems, relationship problems, those are topics best for Facebook's personal page, if you wish to share them at all. My exception is award shows for music or movies. I love tweeting about what people are wearing, how they're singing, or what songs or movies won or lost. It's like a virtual party, where we can share joys or disappointments. 2. Don't get political. I confess to breaking that rule at times, but not often. Many people feel strongly about politics. Being on the other side can raise a red flag and make them unfollow you. Now, there are some authors who make it their business to strongly impose their political views everywhere and at anytime. Depending on their type of books and audience, doing so may work for them. However, to reach a large audience of as many readers as you can, it's best not to get mired in politics. 3. Don't heavily endorse or make fun of a religion. If something of major concern is happening, and it impacts religious news and views, such as recently when the new Pope was elected, I sent out some tweets, but for the most part, I steer away from posting my religious views, and don't make fun of what others believe. 4. Don't follow weird people or ones with gimmicks. I get lots of notifications about followers who are touting methods to gain enormous amounts of Twitter followers. I also see notifications about followers who promote ways to make money. Then there are followers who look strange or even a bit lewd. I don't follow them back. They are of no use to me. 5. Don't follow people who don't follow you back, unless you have good reason. There are people out there who will follow you on Twitter, and once they've snared you as their follower, will unfollow you. Thanks to services such as http://justunfollow.com or http://friendorfollow.com, you can weed these tricksters out and unfollow them, so as to make room for true followers. It makes little sense to waste your precious follower count on those who don't see what you tweet. As with anything else, there are exceptions. You might like to follow someone who is noted for offering advice about writing or another topic you're interested in, or you might like to follow a news source. Maybe you know a Twitter Don't I've not listed here, or would like to comment on one of the don'ts I've mentioned. I invite you to do so below. Facebook, for me, is like a virtual watercooler where you can catch up with all of your coworkers at break time. As a reader, I am annoyed when someone keeps sending out news about their book every day (worse multiple times per day). Once I've heard about it, I've either ordered it, put it on my to be read list, or am not interested. I also don't like the impersonal feel of the author page on Facebook. I prefer to have "friends" on Facebook where dialogue is possible. Twitter feels like coded messages. I know I don't use either medium effectively. I do enjoy the time I'm at the watercooler. Totally agree about leaving politics and religion out of the stream. I have a Twitter account, with about 3000 followers. I don't often seek out followers, so all the 'follow/unfollow' stuff is lost on me. It's not like anyone can actually SEE 99% of the tweets anyway. I filter the people I care about into groups using TweetDeck and I don't even have a column for "all." If I get a notice that I have a new follower, I'll usually follow them back unless they're totally out of my realm. If they immediately respond with a promo tweet, I unfollow. But am I going to see their tweets? Highly unlikely. As for likes/dislikes about tweets (nothing personal, but you asked!) I absolutely hate it when my stream is filled with people tweeting about award shows or reality shows, or anything else because I never watch them and have no interest I wish Twitter would come up with a way to let you ignore specific hashtags so my stream doesn't get inundated. I turned off Twitter during the Academy Awards. A marketing class suggested that about 80% of your tweets be "social" and only 20% promotional. So I'll tweet about where I went for dinner or what I'm cooking (with pictures) or about the weather up here on the mountain. If people don't care, it's not like I'm forcing them to read it--if they're even seeing it at all. Everyone's mileage will vary. For me, Twitter is the water cooler. Facebook is for longer-term interactions. I have Tweety and Fazebook accounts ... and, frankly, I don't 'get' either one of them. I have no idea what the heck is going on ... I never know who is talking to whom about what (did I say that correctly? ... this is the crowd to ask). I send a post out there every now and then ... but, as far as I can tell, they just go off into the ether. Perhaps there are extraterrestrials who are amused at my feeble attempts to become socially relevant on the 'Net ... but, so far, no humans. Christopher, do you have the right Facebook friends? Hook up with otehr writers. They share interesting links, give terrific book recommendations, alert us of important industry news, share interesting blog articles, cartoons, and writerly merchandise, and are generally interesting and hilarious. And, if they like your work, they will talk about it! I think whether to get political or religious is strictly a personal choice. 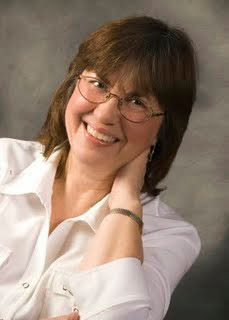 For example, NY Times bestselling author, Susan Wittig Albert, gets plenty controversial. Good on her! She is influencing and in a positive way. As far as rules - my #1 is don't tweet on Facebook. It is really annoying to see all those @s and #s on a forum where they don't mean anything. I often unfriend people who do this. It also annoys me to see FB posts on Twitter that offer nothing but a shortened link with no clue as to why we should click. It may be convenient for you to post two places at once, but it actually just puts a lot of people off. I don't care to see hashtags on Facebook either, and sometimes I have to remember to remove them before posting something on there, which is derived from one of my tweets. It's fine if people disagree with my methods. Everyone uses social media to suit their own purposes. Depends what you want it for. I'm still not sure how to fully use Twitter, your advice was welcome. Good tips, Morgan. I agree with you about your don'ts. I like to see links about blogs, books and reviews. I couldn't care less about what people eat or do. Facebook already overwhelms us with news of people's food, pet, exercise...As an author and a reader, I'd prefer to see something more interesting than 'I cooked potatoes or baked cookies'. Mona -- I agree with you in theory, but I get the highest number of "views" and interactions when I post pictures of my dog or food. So, some people must like it. It's kind of like marketing -- throw the spaghetti against the wall and maybe some will stick. And if it's working, keep doing it. If it's not, stop doing it. I love posting pics of my dog, Rascal, on Facebook. In fact, she even has her own page, http://www.facebook.com/ourlittlerascal. As far as food goes, I'm not much of a cook, but it's fun posting pics on Facebook when the hubby and I go out to dinner, especially when we did our Lenten Fish Fry series. Appreciate the tips, Morgan. I've been on Twitter a long time. (I think my daughter, who works for Twitter got me involved there.) But I'm not savvy about using it. I'll be taking some advice from you! I'm at the dreaded 2K follower threshold, and because I follow more than follow me, they keep cutting me off. And because Tweeters seem to have the follow-back patience of a gnat, I lose out all the time because it takes time to use iunfollow etc. I try to follow people with like interests to drum up relationships, they don't follow back, I hit 2K, dump 75, repeat, repeat. Eager to get past this frustrating threshold! I hate to dump "everyone" who follows me because either their tweets are interesting, it's an author in my genre who is a good mentor for me, or they are my friends outside Twitter who probably don't realize they never followed back, yet me unfollowing them might seem blatant, etc. Advice? 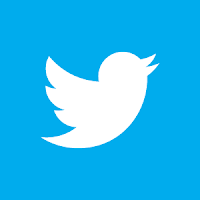 I use social media and try to find time to tweet daily. FB I try to hit a few times a week, but I keep running out of time to do everything. Seems like I'm always dashing through in a blitz of likes (FB) or retweets (Twitter). Once a week I try to remember to preload tweets to go out all week. Twitter I use to share things about writing, about other authors successes, or my sales/contests/deals/releases. I am guilty of dashing off something here or there that's a "throwaway" comment about the day or weather or something. Sometimes I just want to connect, ya know? But I like the blitzyness of Twitter. It suits me. Whatever works for you is best,Maggie. At least you're getting things accomplished! You need to be patient to get above that 2,000 mark when you follow, but it can be done, if you unfollow regularly, then click Twitter's suggestions for new people to follow. I follow about 9/10 of the ones they suggest, and right now I'm able to follow 6,305 people, with 5,747 following me back.If I click too many to follow, Twitter tells me. Then I wait until more people follow me and follow more. I agree with your don't's and I tend to shy away from those topics. Me? I'm 80 % marketing and 20 % social. I'm trying to turn it around. I think it's important to be a little social and show off your personality. I like to tweet about my travels, share a quote from Eleanor, or even talk about chocolate. There's something to be said for water cooler talk. Part of the decision on what to do has to do with how you use other social networks as well. After all, there's only so much time in the day, and we need to figure out how to use it to best advantage. I don't know how I managed before to hold down a day job and also write and promote! Now, my job is my writing and promoting. Funny thing is I spend more time at my own job than I ever did at a day job! Terry, it's so true that the posts about food and pets get the highest response! On Facebook even more. If you want to get lots of high stats, just post a comment with a cute picture and a message that says "share if you love kitties", then be prepared for popularity. Hahaha. I think that's how I got a following of 10,000 readers, more than from my brilliant opinions and advice. I agree with Dani that you can be socially aware and promote political topics on Twitter and FB. The key is not to do that exclusively. As anyone who follows me know, I am against the XL Transcanada Pipeline and mention that frequently on my blog and on social media. I am also against lobbyists and mention that. I think that can be done as long as we are civil in how we do it and don't do personal attacks. I think it is the lack of civility in public discourse that has turned people off from wanting to hear about politics. Don't PM or reply to a total stranger just because you heavily disagree with something s/he said. Awhile ago I attracted some anti-feminist troll who kept bleating about how men are so oppressed and that feminism isn't needed anymore. I blocked him.